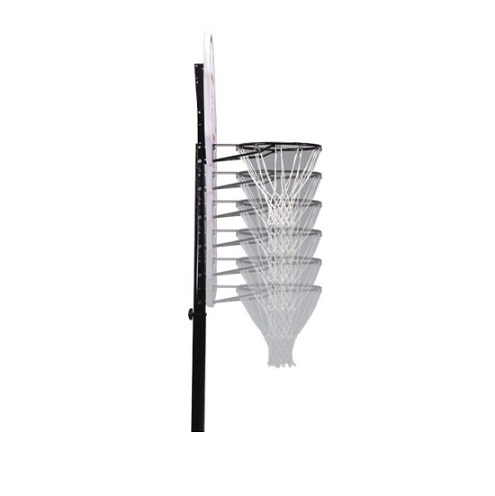 This is a great basketball system from Lifetime Products for aspiring basketball stars. 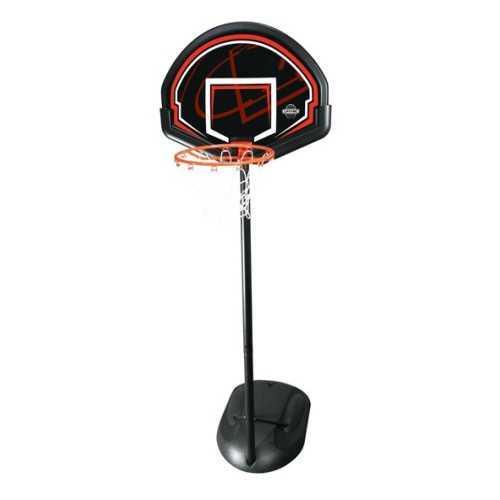 This basketball hoop can adjust easily from 5.5 ft. to 7.5 ft., allowing youngsters to start learning the game of basketball. These portable basketball hoop systems are powder coated on all steel parts to avoid rust. This system can be moved with ease from place to place with its portable rollers. 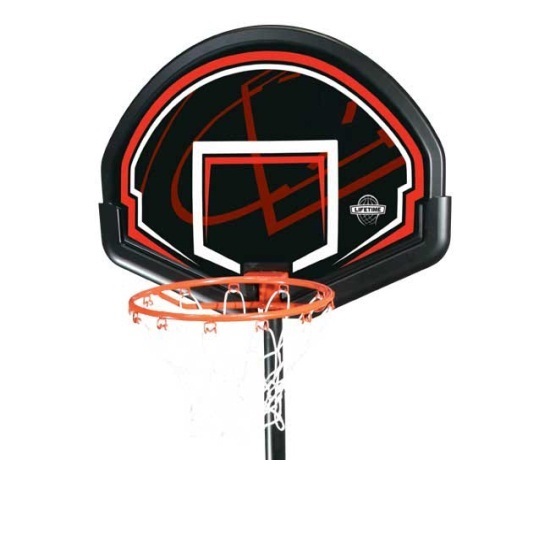 This youth basketball hoop includes a 5-year factory warranty from Lifetime Products. All metal parts of this system are powder coated to help resist rusting. This system is great for young basketball players to start learning the game. Competitive Edge Products, Inc. is an authorized reseller of the Lifetime Products 90022 Youth Portable Basketball Hoop. 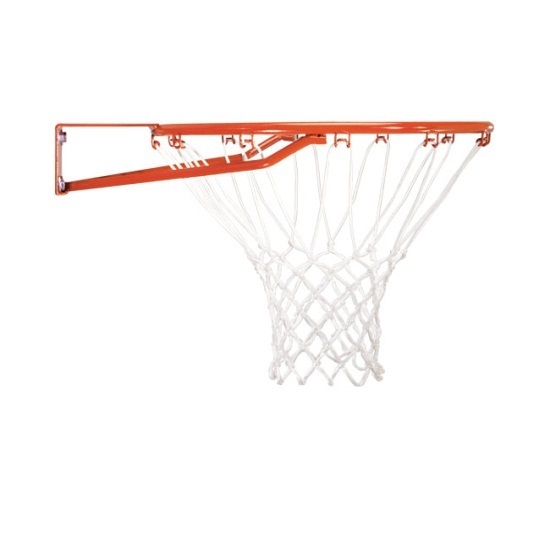 Dimensions: 32 inches W x about 28 inches H.
Backboard frame: high-density polyethylene (HDOE) plastic. Youth-sized rim, 15 inch diameter. Uses a telescoping pole to raise and lower the rim height. Pole size: 2.5 inch round. The telescoping pole device is activated using a push pin on the pole. Rim height adjusts from 5.5 feet to 7.5 feet in 6 inch increments. Portable base size: 10 gallons. Approximate weight of the base when filled with water: 80 lbs. Shipping dimensions: 33.6 inches x 26.4 inches x 10.375 inches. Includes a 5-year warranty from Lifetime Products on all parts of the system. This arrived way quicker than I expected and was exactly what I was looking for. Excellent quality and service. Our grandson just loves his new hoop. Thank you! Fast Smooth Deal, Now to get it out of my living room! Thanks for everything. Q: Ours blew over and the two brackets on the back bent and broke. Can we get replacement brackets? A: you can get that by calling 800-225-3865. Q: Can I buy the bottom and middle poles for this goal? Q: What is the recommended age on this? A: The recommended age is 3-10 years old. Q: How tall is the backboard, I know it is 32" Wide? A: he backboard is 23” tall. Q: What are the shipping dimensions of this item? A: This is shipped in a box that is 26.6” x 34.3” x 7.3” and weighs 31 lbs. Q: Where can I get replacement rim for this? Q: What Height does this adjust to? 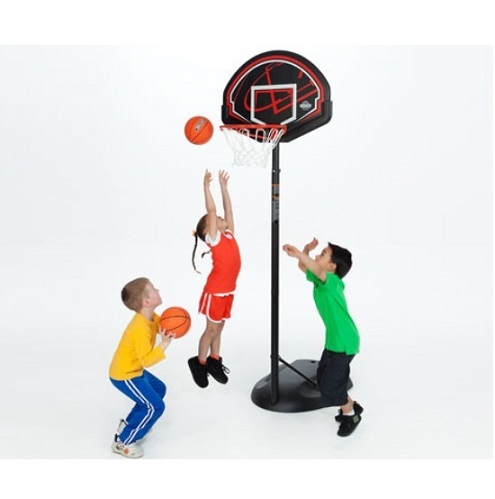 A: This basketball system adjusts from 5.5 ft. to 7.5 ft.
Q: What is the recommended age group for this basketball system? A: Children ages 3-10 will likely benefit best from this system. With the smaller size and low rim heights available, young players will be able to more quickly develop the arm strength to shoot the ball up to the rim. The smaller rim size also is meant to accommodate smaller basketballs that will also be encouraging to young players as they develop their shooting. Q: How do I adjust this basketball system? A: This system uses a telescoping pole. The mechanism is engaged by pushing a pushpin on the pole and then sliding the pole in and out to raise and lower the backboard. This design is meant to be used by a responsible adult. Fast Shipping: Orders for the Lifetime 90022 generally leave the warehouse within 1-2 business days. Dimensions: 32" x 26" x 8"